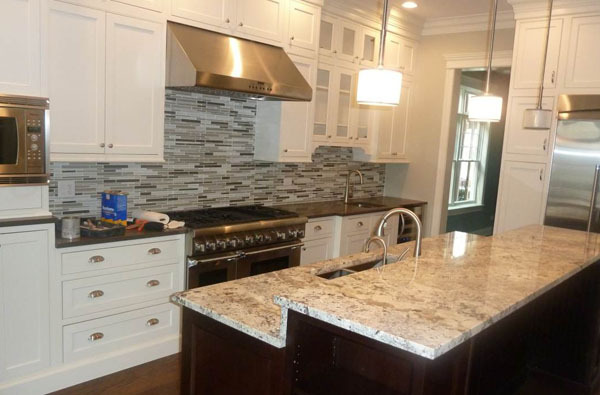 Discover Granite Countertops Chicago Illinois by V and T Marble Co..
V and T Marble Co., provides high quality marble and granite for bathroom and kitchen countertops. If you´re considering natural stone kitchen counters, check out our competitive pricing and large selection of natural stones to choose from. V&T Marble has over 20 years of experience in the industry, and we can proudly say we have made an art of fabricating granite countertops. We service: Chicago Illinois, Des Plaines, Oak Park, Addison, Elmhurst, Arlington Heights, Skokie, Elmwood Park, Franklin Park, Berwyn Logan Square, Schaumburg, Hoffman Estates, Mount Prospect, Elk Grove Village, Bensenville and the surrounding area.